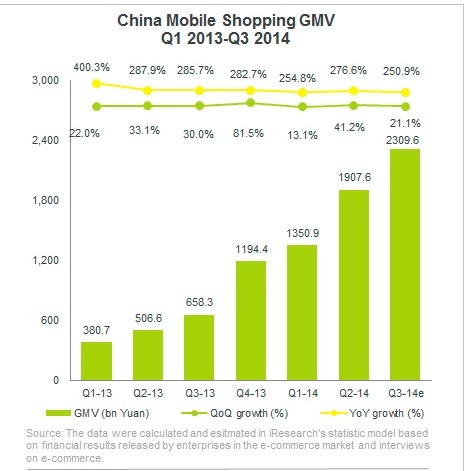 The mobile Shopping market in China increases by 250.9 % to reach 230.96 billion yuan. 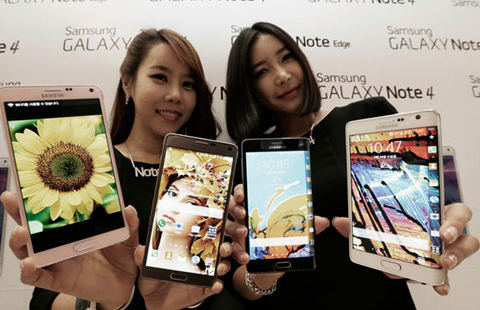 During the 3rd semester of 2014, sales via mobile phones have experienced an increase up to 230.96 billion yuan. According to IResearch, portability and the ease-use of mobile devices has enabled Chinese consumers to do their shopping in any place and time. M-commerce has become the new trend in China! Online mobile shopping Market share is 33.4% of the global market, an increase of 20% compared to last year and 3% compared to the previous quarter. More and more Chinese consumers go through their smartphones to make online purchases. It is true that since the things go offline to online, you can buy all via mobile phone: electronic products, household products, food, cosmetics, fashion products, travel, etc. With more than 600 million Chinese Internet users, more than 300 million say they make online shopping via their mobile at least once a month and 65.4% of Chinese make online payments through their smartphones Online shopping through this channel have also increased by 44% and online travel bookings 67.4%. Furthermore, Chinese consumers are shopping online addicts. 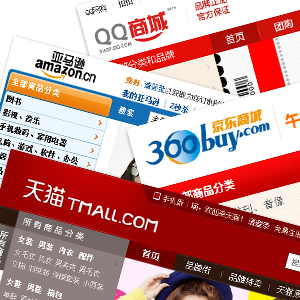 Chinese online sales are expected to reach $ 539 billion in 2015. The Chinese spend on their smartphones, an average 26.1 hours online. Moreover, with the increase of middle Chinese class and a perpetual increase in purchasing power, the Chinese spend more. Alibaba Group is a Chinese company created and owned by the family Ma, specializing in online trading. It has become very popular and known in China. It is also the company that has the highest sales in its sector and is experiencing perpetual growth. Moreover, the market share for online sales via mobile is largely dominated by the Alibaba Group, which takes about 57% share, followed by JD.com 21%. In addition, during the 3rd Quarter 2014, Alibaba through its website Taobao took 86.2% of the market share. 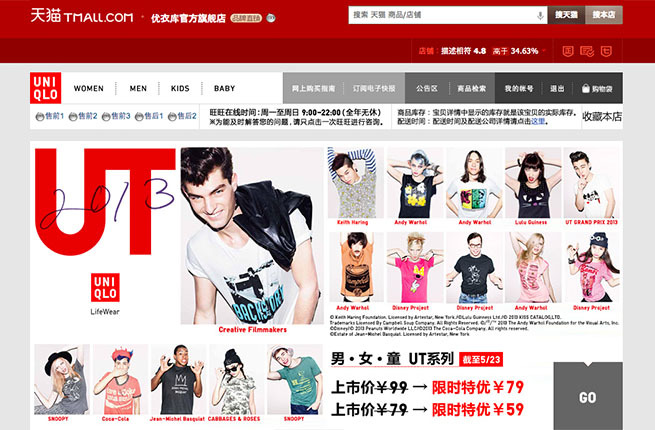 Tmall.com, put online at 2008, occupies the first place in terms of B2C. With 70 000 references of 40,000 merchants, the site is by far the favorite of Chinese consumers who are having fun and ease use of purchases in it. Many foreign brands wanting to attract Chinese consumers and enter to Chinese market have settled on this platform to advertise and sell their products. Also they have to adopt some digital marketing strategies. We may also mention UNIQLO, Unilever, Adidas, L’Oreal, Gap, Levi’s, Puma, Ray-Ban or P & G.
M-commerce market is the market where people have to invest in China. New trend, it is not ready to stop and experiencing a growth. To try to attract Chinese consumers, companies have to be present on this channel and develop some application easy to use on it. For companies wishing to install or to enter the Chinese market, please click here.